The Voices of Wrestling flagship podcast is back with a massive episode breaking down Dragon Gate’s fantastic Dead or Alive 2016 show including the nuts main event, who emerged as the star of the night and the secret sauce that made Dead or Alive such a great show this year. We then move our attention to the recent string of WWE cuts and what the future holds for each of the performers. Last but not least, we break down New Japan Pro Wrestling & Ring of Honor’s joint PPV Global Wars 2016 (which Rich attended live) and discuss the looming issues with Ring of Honor’s roster. NextWhy Hide My Love of Pro Wrestling? NXT TakeOver, WWE TLC, Roman Reigns, WK10 & more! 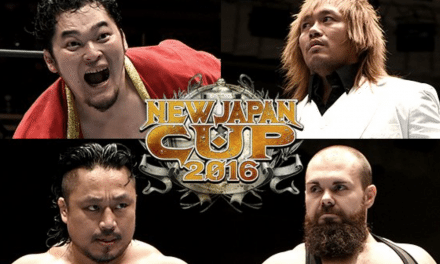 NJPW Invasion Attack, CJ Parker, WWE NXT & more! The New Day, WWE MSG preview, John Cena vs CM Punk from Raw 2013 & live streams return!